The Osage County Commissioners met on Monday morning and discussed a wide array of issues. Monday also marked the first meeting that Randall Jones served as County Commissioner for District number one. The first item of business was to select a new chairman for 2019. It was decided that Darren McKinney will serve in that role, while Kevin Pasley will be the vice-chairman and Randall Jones will be the second-chair. Osage County Emergency Manager Jerry Roberts was on hand to give an update on how things had been going in the county over the past couple months. He said his workers had done a great job responding to the two tornadoes back in the fall and even the first grass fire of the season here recently. Roberts added Osage County has signed up for a grant allowing the citizens of Osage County to sign up for a storm shelter. They have until March to take advantage of the grant. The Director of Osage County Planning and Zoning Jake Bruno was also there to talk about some of the problems he sees in the low lying areas of the county. Bruno added that Duke Energy is looking to add to its wind farm in Osage County in partnership with Amshore Wind Energy. Four sheriff's vehicles were damaged. Three of them were hit by a deer and the other was hit by a tree. The County Commissioners paid for two of the four vehicles out of their deductible fund. 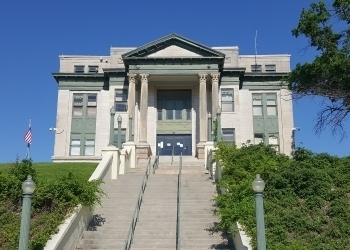 The next regular scheduled county commissioner meeting will be next Monday at 10 o' clock in the morning at the courthouse in Pawhuska.